New Tineri demos now available to download. Just a short article to announce that we have now released a series of new demo downloads for our mobile itinerary solution, Tineri app. There a 6 new downloads available in total, with each one focused on a different type of travel. 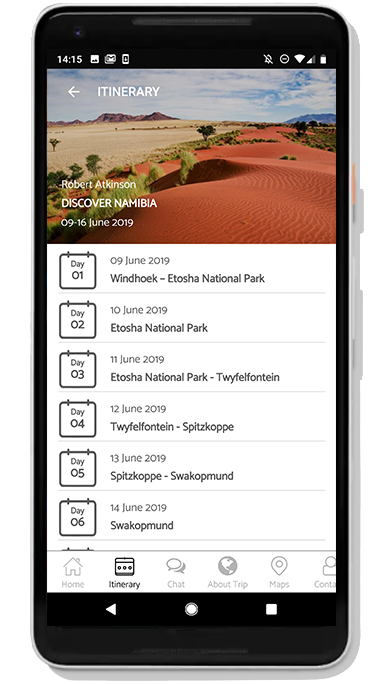 Those who download the free demos will get an opportunity to see and navigate around, the information and itinerary for a full trip within the app. Whether you’re interested in seeing how Tineri displays holidays around Scotland’s must-play golf courses, safari in Namibia or Japan’s cultural highlights, we have a demo for you.